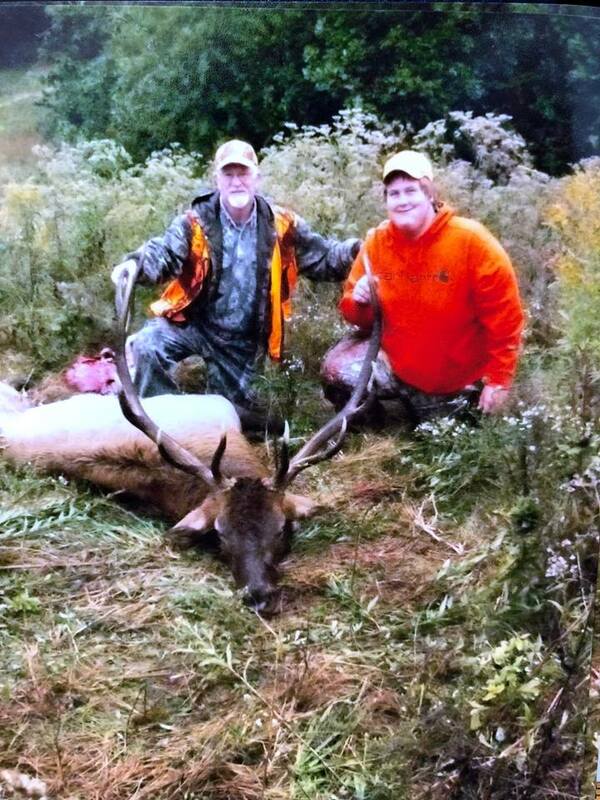 Nearly every big game hunter in Tennessee knows all about the rare opportunity to hunt elk in Tennessee. Since 2009 the Tennessee Wildlife Resources Agency has issued a very limited number of permits to hunt Rocky Mountain elk in Tennessee. In the beginning only five bull elk permits were issued. This year there were a total 15 permits issued for the season that ended Friday (Oct. 19). 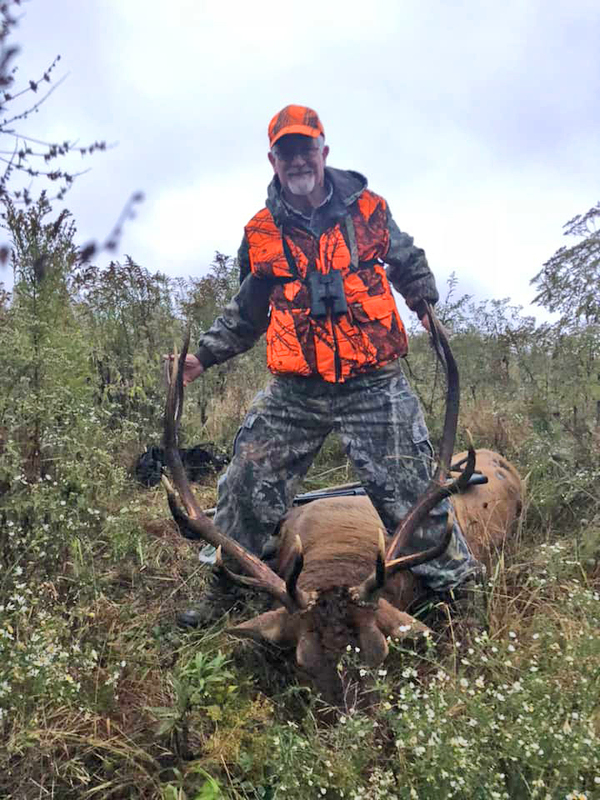 Brad Miller, the TWRA wildlife manager who oversees the elk hunt, said 12 out of 15 elk hunters were successful this season. 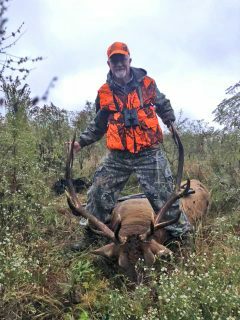 Most amazing was that seven out of seven archery hunters all took a bull elk while only four out of seven gun hunters were successful. Last year only three archery hunters were successful. 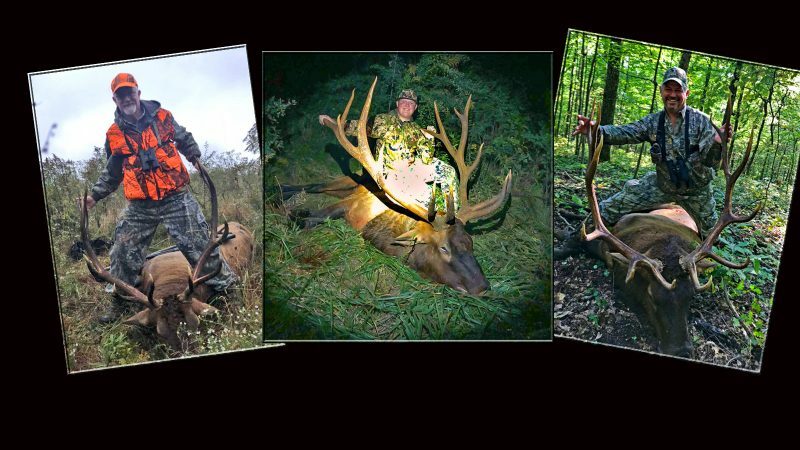 Three of those elk were taken by hunters in Cleveland and Chattanooga – Hunter Munck, Charlie Hall and Scott Thomas. It requires a huge stroke of luck to be selected for a rare elk hunting permit. Amazingly, Scott Thomas’s grandson is Robert Goodner, the young man who was selected for the juvenile-only elk permit in 2014. Thomas was there when young Goodner took his elk. Turnabout is fair play so this year Goodner, now 18 years old, was there when his grandfather took his elk on Oct. 13. “I was so glad Robert was there to share with me like I was there to share with his,” said Thomas. Thomas won his permit in the raffle sponsored by the Tennessee Wildlife Resources Foundation. He bought himself two $10 raffle tickets and out of 22,484 tickets sold, he was selected. 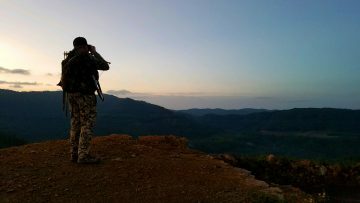 Thomas spent nine days scouting on the Royal Blue Wildlife Management, nearly 200,000 acres of wilderness northwest of Knoxville. 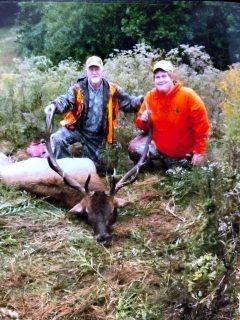 It is broken into specific zones for the elk hunts and Thomas was gun hunting in one of the best elk hunt zones on the area. He admitted that it seemed pretty definite he would take an elk. It was more a matter of which one. “Me and Robert had a bet on who would get a bigger bull,” said Thomas. He said he and his grandson were scouting the day before his hunt. Standing in the middle of a large field Thomas bugled (blew his elk call) and a bull immediately bugled back. The two flattened down in the sparse sage grass as the huge bull came within 40 yards and then wandered off. “We couldn’t sleep very much in camp that night after that encounter,” said Thomas. The next morning at sunrise the two were hidden behind a plow left in the field. Thomas bugled and his bull responded immediately, coming within about 80 yards when Thomas fired his .308. Nobody won the bet however because Thomas’s bull, a 6×8 (antler points), was the exact same size as Goodner’s elk taken in 2014. Hunter Munck, 22, also from Cleveland feels the same way. 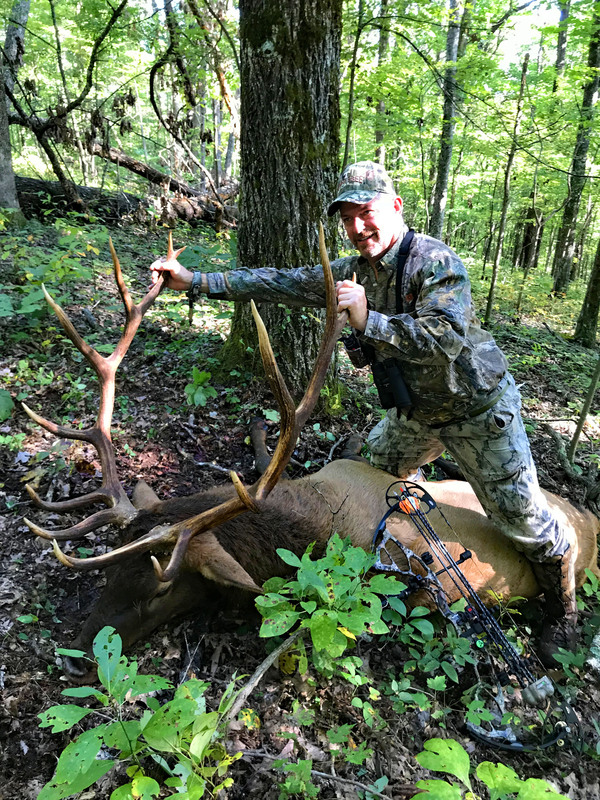 Munck took his elk on October 1 in Zone 7 with a crossbow during the archery-only segment of the elk hunt. 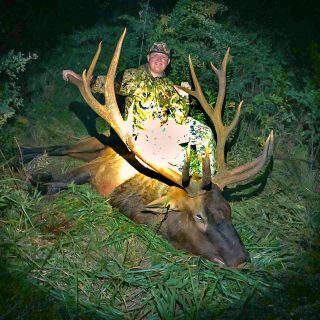 Munck said they believe that his elk, a 9×7 that scored 365, may be the largest elk ever taken since the hunts began in Tennessee. 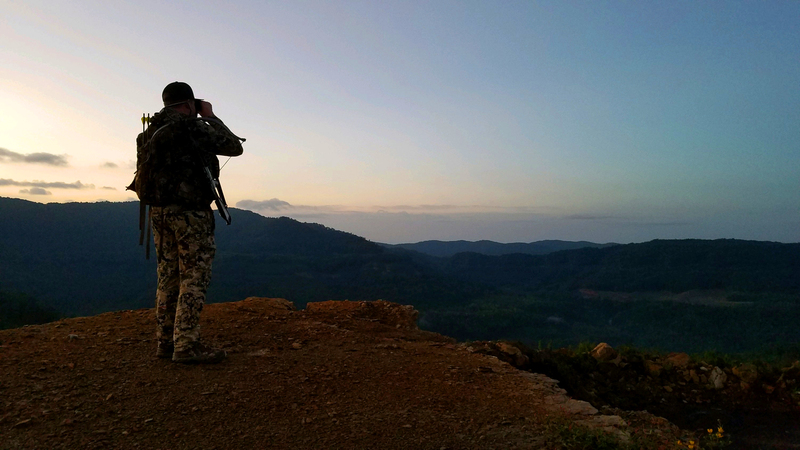 Assigned to Zone 7, the 15,000-acre Tackett Creek North zone (Zone 7), Munck said he didn’t get to scout at all before the seven-day hunt. He spent his first day just scouting without seeing or hearing any elk, with the same result on Sunday and Monday morning. When they had approached as close as they dared Munck called again. He said the huge bull stopped a mere seven yards away but was facing him where he didn’t have a clean shot. 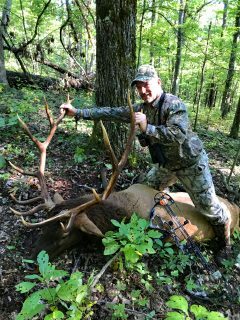 Charlie Hall, the owner of ACES, a nuisance wildlife removal service from Chattanooga, took his bull in Zone 1 the exact same day as Munck. Like Thomas, Hall admitted he wasn’t too worried about killing an elk. It was just a matter of getting the good one he wanted. On Oct. 1 he bugled early in the morning. The big bull he wanted bugled back and entered the field about 80 yards away. Hall was positioned where he could not actually see the elk’s body but he could see the huge antlers sticking up above a hedgerow as he approached. Hall’s shot flew true. 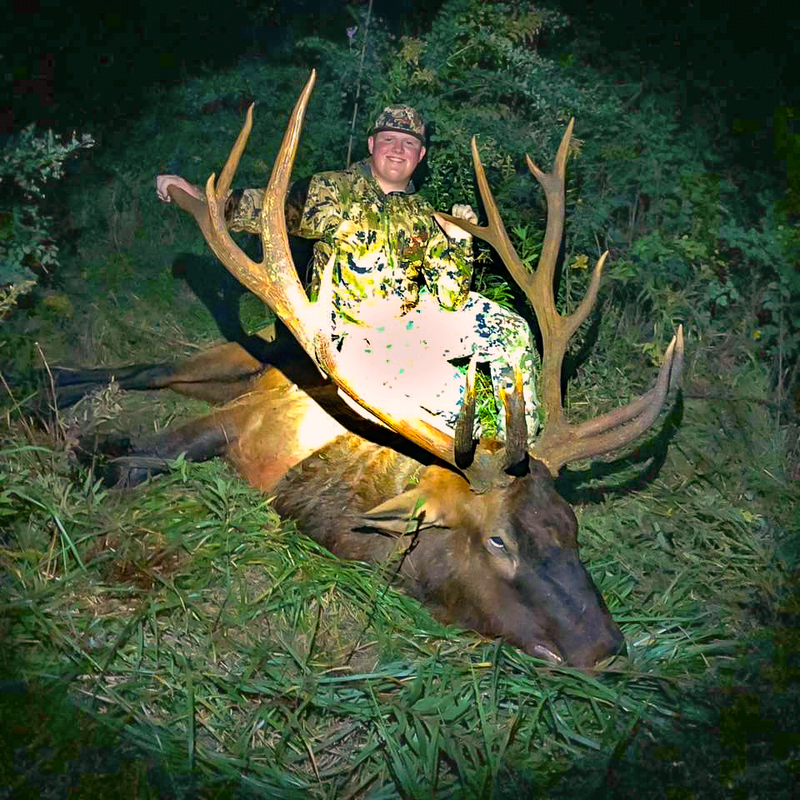 He said the huge 7×6 bull that weighed in at 734 pounds went down about 120 yards away. This year’s elk harvest means there have been a total of 53 bull elk taken since hunting began in 2009. For more information about elk in Tennessee, including a live webcam, go here. Next articleHotHands Made in Dalton – Who Knew?